A large high pressure dominates Europe while a large upper low is gradually moving east across SE Mediterranean. 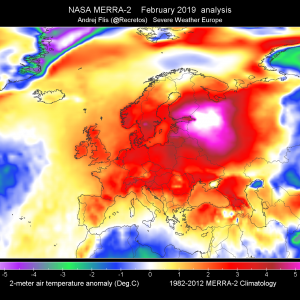 Another wave is arriving across W Balkan peninsula and will join with the upper low and bring more severe weather into the extreme SE Mediterranean. A large trough over N Atlantic will push a cold front towards the British Isles. 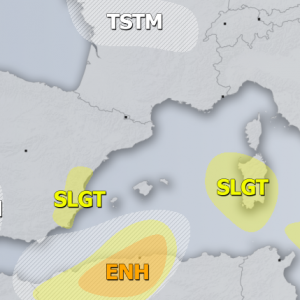 A MDT risk has been issued for parts of SE Mediterranean, extreme S Turkey and W Cyprus with threat for large hail, severe winds, tornadoes and heavy rainfall. A new wave with enhancing convective storms threat will round the base of the upper low and result in an increased coverage and intensity of storms from the SW. Should result in excessive rainfall over SSW Turkey. 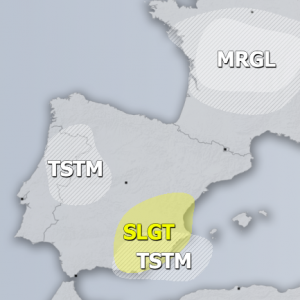 ENH/SLGT risk areas have been issued for SSE Mediterranean with threat for scattered storms with severe winds, large hail and heavy rainfall. In the wake of the new wave within the SLGT risk area, waterspouts and graupel showers are likely. 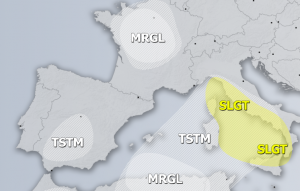 TSTM areas have been extended across Ionian sea and the rest of Turkey for isolated storms which should remain sub-severe.